Limited availability means the OnePlus 2 will never be truly disruptive in the way the original Moto G was when it arrived in 2013. However, the effort that goes into simply buying one of these phones is warranted. The OnePlus 2 is, overall, a high-quality and thoughtfully design phone that’s a great value alternative to far more expensive Android phones. After using the OnePlus 2 for quite some time and going over the results of my testing, I can't say I'm thrilled with how things turned out for OnePlus's second smartphone. There are a lot of really odd regressions from the original, and when that's accompanied by an increase in price it makes me wonder why someone wouldn't seek out a OnePlus One, or a smartphone from a different vendor entirely. There are some aspects of the OnePlus 2 I’d rather not see (such as the lack of a microSD card slot), but overall, the phone has far more upsides than downsides, making it an excellent choice in this particular price-range. OnePlus starts this phone out at $329 USD, which represents the 16GB model with 3GB of memory. The beefier 64GB / 4GB model demands a $60 premium, which isn’t too hard to stomach given it means a quadrupling of the storage. 90% OnePlus 2 review: The flagship killer you’ve been waiting for? Top-end specs, a large screen, near-vanilla Android, and a price tag on the South side of $400 make OnePlus 2 a force to be reckoned in the battle for the “Smartphone of the year” award. The OnePlus 2 is a good follow-up phone for the company, but calling it a ‘2016 flagship killer’ is a real stretch. It’s one of the nicer phones available in the market in 2015, though OnePlus really need to step up their game when it comes to software updates and how they’re installed seemingly automatically and without warning. The lack of NFC is still something to point out, as well as limiting yourself to onboard storage only due to the lack of a microSD slot. The OnePlus 2 is a good Android phone for sure, but it’s still got a lot to stack up to if it wants to truly obliterate the competition. If you possess that patience –or if saving enough money will allow you to find it within yourself– the OnePlus 2 definitely deserves your attention. It’s not the game-changer its predecessor was; phones with identical or even superior specs can now be had for much the same price (see Context above), and this plus its iterative nature means it has to work harder to keep phone geeks interested. But above all that, the OnePlus 2 is an uncommonly good smartphone for under $400 unlocked. That alone makes it worthy of consideration for those trying to save capital without sacrificing capability. This is not a phone that will ever be mass-market . The invitation system pretty much ensures that – you’ll only get one if you sign up and participate in OnePlus’ various online activities, if you’re invited by another OnePlus owner or if you luck out in one of OnePlus’ open, one-hour sales. However, if you’re lucky enough that your number comes up, or if someone you know offers you one, think very seriously about taking them up on the opportunity. The OnePlus 2 is a highly accomplished smartphone at a ludicrously reasonable price. With so much going for it at such a great price, there's no denying that the OnePlus 2 is a fantastic handset that's great value for money. It's just a shame that you can't actually buy one through normal channels, as that's the only thing holding me back from giving it a Best Buy award. If you manage to get an invite, then you should definitely take advantage of it, but for everyone else, the Motorola Moto X Play is the next best handset in this price range and a very worthy alternative. The Moto X Play may not be as fast, but it does have a better screen and superior battery life. Price can be a real trump card, and one that OnePlus has been able to leverage before. This year, the price of the OnePlus 2 is a little higher at $329, which is still significantly cheaper than many other high-end devices, including the Galaxy S6, which can go as high as $579, with the Galaxy S6 Edge requiring an additional $100 or more. Though there are great mid-range smartphones out there that are priced the same as the OnePlus 2, it certainly destroys most of them in comparison. However, despite the aforementioned issues with the OnePlus 2, it’s hard to ignore the device from a value perspective. The Galaxy S6 and LG G4 are better smartphones overall, but they also carry significantly higher price tags. There are plenty of reasons to pay the extra $100-200 to get either of these devices, but if you would rather save some cash, the OnePlus 2 is a pretty decent choice. If we had to identify the single biggest reason OnePlus failed to deliver with the 2, it would probably include the now-gone CyanogenMod OS team, which had finally managed to get a stable, smooth-running software for the OnePlus One out. The new OxygenOS is seriously undercooked in comparison, and will require some hard work to match what was available to buyers of the previous model. The OnePlus 2's only saving grace is its price. But in this case, you really get what you paid for. We test and review the new OnePlus 2 Android smartphone! The first OnePlus phone was notable for its high-end hardware and low off-contract price, but was also released in very limited quantities. Its follow-up, the OnePlus 2, distinguishes itself with the use of USB-C, a fingerprint scanner, and a hardware notification switch. We discuss the usefulness of those features and the phone's performance compared to other flagships. The OnePlus 2 is a cracking phone for those who want a phone that looks and feels high-end, without having to spend hundreds upon hundreds of pounds. There are a few little things the top names do a little better here and there, but the OnePlus 2 is the current bargain hunter’s choice if you're after a premium handset for not a load of cash. The OnePlus 2 has managed to build on its predecessor in a number of ways, while maintaining the low price point which made the original so popular. There's a better camera, improved screen, nifty fingerprint scanner and a premium design to keep Apple, Samsung and co. looking nervously over their shoulders. The OnePlus 2 packs the latest power, an improved camera and fancy finger scanner into a new design, and it's finished with a price tag that puts the rest of the high-end mobile market to shame. Is it the best phone on the market? No. If you're looking for pure mobile excellence the Samsung Galaxy S6, with its premium price tag, is still the pinnacle, but for those on more reasonable budgets the OnePlus 2 is a barnstorming buy. So, there you have it for this in-depth look at the OnePlus 2! With all that we’ve experienced with the OnePlus 2, it is easy to see that this is a flagship device, through and through, but it won’t be killing any other really high end devices any time soon. We can’t fault OnePlus for keeping the features in line with the price point, but calling the OnePlus 2 a “flagship killer” feels like a stretch this year. Snapdragon 810 is soon to make room for the highly-anticipated Snapdragon 820, which offers a custom processor, more powerful graphics and much improved thermal characteristics. Quad HD displays were questioned last season for the toll on battery life but will probably be the flagship standard in 2016. Unable to compete on ppi and missing things like QuickCharge and wireless charging, NFC and memory expansion, the OnePlus may end up struggling against rivals who typically make no compromise with the level of equipment. If you're looking for speedy performance for less money, the Intel Atom-powered Asus ZenFone 2 breezed through various performance benchmarks and costs $299 for the 64GB version with 4GB of RAM. It also offers a solid suite of camera tools and nifty software touches. However, the OnePlus 2 has a more colorful display than the Asus, lasts longer on a charge and sports a more head-turning design. Overall, the OnePlus 2 ably takes on today's flagships by providing a premium experience at a fraction of the price, but you should temper your expectations. The OnePlus 2 is a remarkable phone. At either £239 or £289, the prices of the two different versions, it’s terrific value. It comes across a sensible alternative to phones in the £400-600 price range, without any particularly obvious compromises involved. It’s a good phone, and most people who buy it will probably like it. But you can buy better phones, and you can buy cheaper phones. In the case of the Moto G, you can buy a cheaper phone that’s better in a lot of ways. The OnePlus 2 isn’t for the hardware-obsessed, it’s not for the price-obsessed, and it’s not killing any flagships now or ever. OnePlus has plenty to be proud of. After all, the company managed to make a phone that improved on the already-excellent original in every way that mattered. The OnePlus 2 is a powerful, well-built device, offering the best blend of price and performance you'll find in an unlocked phone. The thing is, the version I tried is still haunted by a few pesky software issues that should be fixed soon. The version of the OnePlus 2 we've reviewed here will cost you $389 USD, and you can add alternate back covers like Bamboo, Kevlar, Black Apricot, and Rosewood for $27 apiece. Because this device comes with a screen protector on its front display right out of the box, we'd recommend waiting on purchasing any screen protectors right off the bat - but if you do, OnePlus has them for sale right through their standard online store. It certainly isn’t easy to purchase a OnePlus 2, but it’s well worth the effort. This gorgeous Android phone competes with and beats mass market flagship phones that are twice as expensive, and it offers the pure Android experience that so many users crave. The OnePlus 2 truly is the best smartphone in the world by a staggering margin when taking quality, performance and value into account. In fact, no other mass market smartphone even comes close. 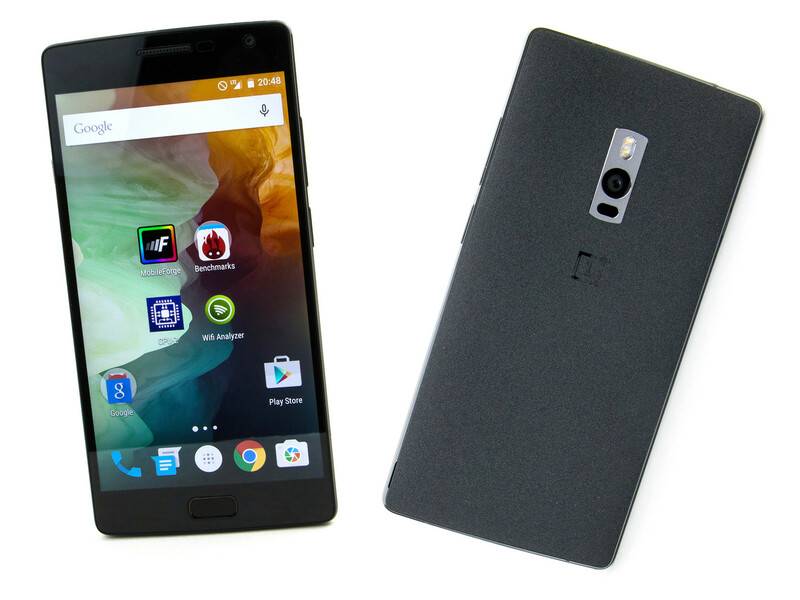 The OnePlus 2 is an exceptional phone, without just taking the price into consideration. Yet the fact it's less than half the price of most flagship devices is what really impresses. However, there are some niggles: no microSD card storage; the absence of NFC when there's a decent fingerprint scanner on board is just illogical; and the actual process of buying one, via invite, is a pain in the behind. But it's that last point that almost gives the OnePlus 2 added allure, garnering it even more worthy attention. So, in summary, should you buy the OnePlus 2 or not? If you are looking for a dual-SIM Android smartphone with decent battery life and near-stock Android at around the Rs. 25,000 mark, we say go ahead, but be prepared to live with a few quirks. If you liked the One - which had more rough edges than the 2 - you will surely love OnePlus' newest flagship. However, if you are someone who values reliability over bargains, and wants a smartphone that's as stable as some of the bigger name flagships, the 2 isn't quite there yet. Either way, just don't ask us if we have an invite (spoiler alert: we don't). Whilst there are some notable imperfections not found in more costly flagship rivals, the list of negatives is dwarfed by the positives based on our encounter with the phone. We're intrigued about what's to follow from the company later this year, but if you're in the market for a new top-tier contender right now, this would be a very smart purchase indeed. The original OnePlus One was almost too good to be true—in fact, supply shortages along the way made us wonder if the company ever intended to sell many units in the first place. Now with a year under its belt to work out the kinks, we're ready to put a little faith back into OnePlus and its ability to actually get phones into customers' hands. The OnePlus 2 retains the power, polish, and aggressive pricing of its predecessor, making it the unlocked phone to beat and our Editors' Choice. For those of you who already have the OnePlus One, there isn’t much incentive to upgrade. OnePlus One is still an able phone and barring its mediocre low light camera performance, it keeps up in most tasks. For others who are on a mid-range phone and were looking to upgrade, the OnePlus 2 is a good choice. Only the 64GB variant will be selling from launch date, with the 16GB variant costing Rs 22,999 expected to come in at a later date. For all the great things the OnePlus 2 delivers at a very reasonable price, it’s almost impossible to use the phone for any length of time and not wish for what it might have been. Even if you could buy it without sitting on an aggravating waiting list, I would hesitate to recommend it to someone who isn’t fully aware of the phone’s compromises. As often as OnePlus likes to say “never settle,” using this phone was a constant reminder that I was doing just that—settling for one of the best sub-$400 phones instead of buying a more expensive phone that has it all. While the OnePlus 2 beats everything in its price bracket, it isn't the out and out flagship killer like its predecessor. There are no heating issues, and the phone does a good job in most areas. If you're buying a new phone, this would be a good choice, but if you currently own a OnePlus One, stick to it. The performance from the Snapdragon 810 and 4GB RAM seems excellent and the phone seemed perfectly fine in casual use. We couldn't quite test the gaming performance but it's likely to be great as well. We also couldn't check the heating characteristics of the device, which might be important in this case as the chipset has a history of overheating and consequently throttling performance. Only a full review down the line will answer those questions. The OnePlus 2 is everything I expected it to be – and more. I was surprised by the level of build-quality that OnePlus has been able to squeeze in there, and can only imagine what will happen if their sales volume goes further up. The comparison data between OnePlus 2 vs. OnePlus 1 tells a lot about how much progress has been made. Fast so gut wie das iPhone? Model: Labelled as the 2016 flagship killer and not to be confused with the original flagship killer, the OnePlus Two is the second version of an already robust smartphone package. Crafted with some thought, the smartphone certainly carries the same aesthetics as its predecessor with a solid chassis and elegant, clean lines. There are several back covers to choose from ranging from Kevlar to Rosewood. Ergonomics is good with as the rear of the device is curved for a comfortable grip. Display on the smartphone is a 5.5 inch LTPS LCD panel with a pixel density of 401 ppi and the entire front is protected with Corning Gorilla Glass 4. The OnePlus Two runs on Android 5.1 Lollipop with the Oxygen Mod that reduces bloatwear and in theory increases performance. There is an octa-core processor on-board made up of a Cortex-A53 quad core and a Cortex-A57 quad core processor. The OnePlus Two comes in 2 configurations; a 3 GB RAM, 16 GB storage device and a 4 GB RAM, 64 GB variant. Both models come with the Adreno 430 GPU. Users can expect exceptional performance regardless of the model chosen. There is a 13 MP camera with optical image stabilization and a secondary 5 MP front shooter. The OnePlus Two has all the bells and whistles of a modern smartphone and sports a non-removable 3300 mAh battery. 84.72%: This rating should be considered to be average. This is because the proportion of notebooks which have a higher rating is approximately equal to the proportion which have a lower rating.